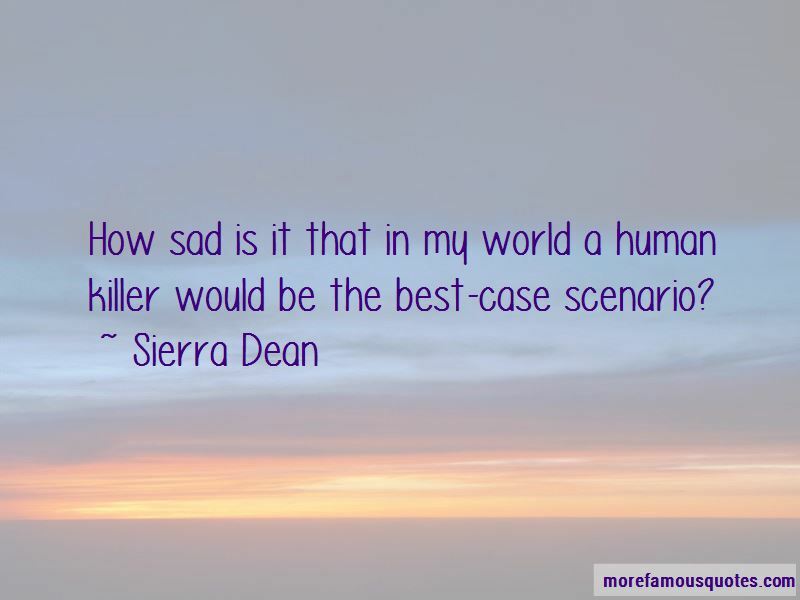 Enjoy the top 11 famous quotes, sayings and quotations by Sierra Dean. “Eugenias mouth formed an O shape, her eyes wide and a little wet. “Detective Castilla, your Secret is safe with me." She blinked with surprise, and I groaned. "God, Holden. How long have you been waiting to use that line?" “Fate forced me to become a two-man woman. But there was no effing way I could be a four-man woman. “Eugenia's mouth formed an O shape, her eyes wide and a little wet. “Nonsense. Everyone knows Canadians are a peaceful people." He was laughing now. "Tell that to the White House circa 1812," I told him. "Because that's the year the peace-loving Canadians burned it to the ground." Dominick grabbed an empty bottle and jumped onto his chair. The room got silent in an instant as everyone paused to look at him. "Cheers to 1812." He lifted his empty bottle. The whole room whooped and raised their full glasses, howling in unison. “She was speaking in tongues?" Love is a beautiful man bearing caffeine. 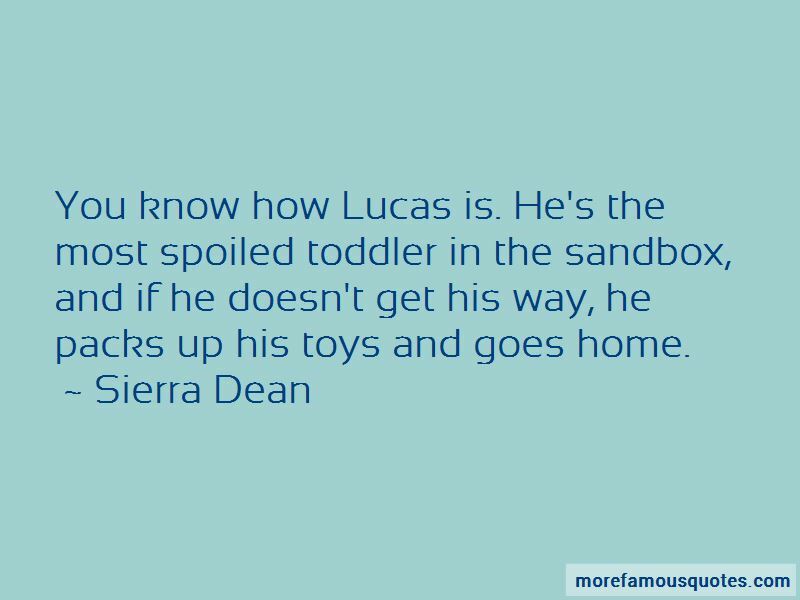 Want to see more pictures of Sierra Dean quotes? 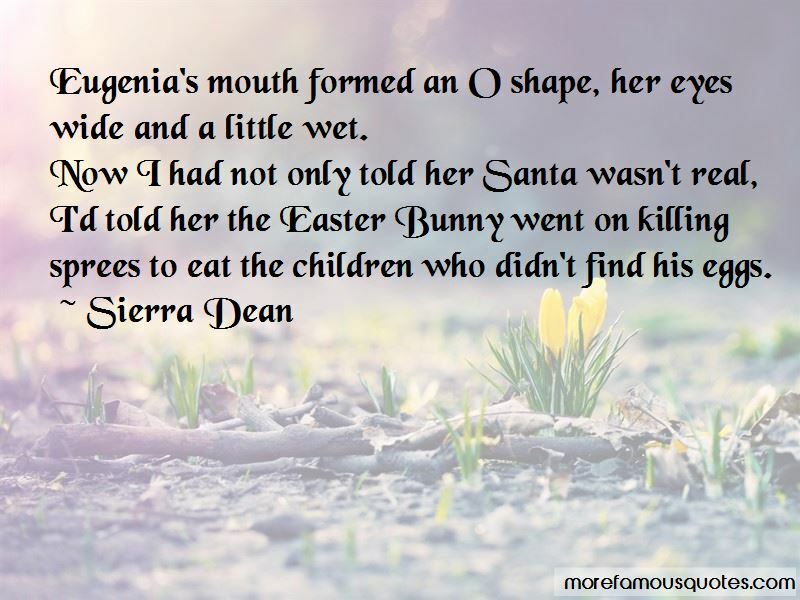 Click on image of Sierra Dean quotes to view full size.